IBM aims to expand the number of data centers it offers clients around the world by 25 percent to meet fast-rising demand for internet-based services, after what a company executive said has been a "breakthrough year" in 2014 for its cloud computing business. IBM has quadrupled the number of cloud data facilities it offers around the world to 49 in the past 18 months, responding in part to laws requiring the local retention of data following revelations over U.S. government Web surveillance as well as increased corporate compliance rules. The company said on Wednesday it has now struck a partnership with data center provider Equinix Inc for nine more cloud centers in Australia, France, Japan, Singapore, The Netherlands and the United States. In addition the company is opening up three new cloud computer facilities of its own in Germany, Mexico and Japan. The information technology giant, which is contending with a change in its classic business mix of software and outsourcing services as corporate clients focus on reaching their customers via the Internet and mobile phones, said its own cloud business is having a banner year. "We have had a really good year. We would call it a breakthrough year in cloud," Angel Luiz Diaz, vice president in charge of IBM's cloud computing business, told Reuters. IBM's cloud revenue amounted to $4.4 billion in 2013 and was up by 50 percent in the first nine months of this year, it reported in October, making it one of IBM's fastest-growing businesses, although it still accounts for only a fraction of the $94 billion in total revenues which IBM is expected by analysts to generate this year. Diaz declined to comment on the company's performance during the fourth quarter but IBM has announced multi-year deals in recent weeks worth a total of more than $4 billion that are fuelling the company's expansion in data centers. The company's cloud computing services let companies mix classic computing jobs with new ways of working, a twist on the largely consumer-facing cloud services made popular by Amazon's Web Services, Google and Microsoft. IBM, along with rivals Hewlett-Packard and EMC's VMware, offer “hybrid cloud” services that let customers run key business data on private, internal networks along with consumer-facing public cloud systems. Such hybrids provide companies with certain speed, security and regulatory advantages but at similar costs as public clouds, said industry analyst Charles King of the firm Pund-IT. Mixed systems also let customers move their existing business software to the Internet over several years rather than in one big leap. 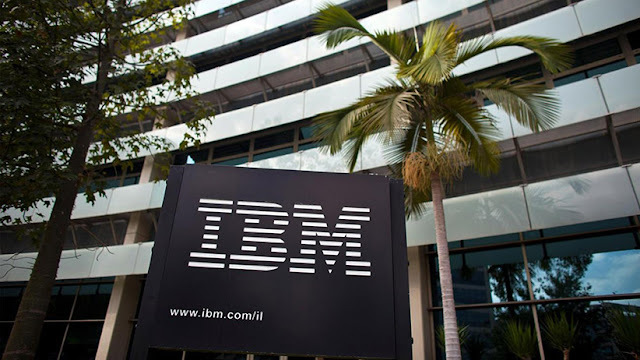 So far this quarter IBM has set major deals with airline Lufthansa, Dutch bank ABN AMRO, advertising giant WPP, audio electronics maker Woox Innovations in Hong Kong and the Dow Water arm of Dow Chemical. IBM has also put in place a variety of technology partnership deals with SAP, Microsoft, Tencent, AT&T and Intel to give its customers more flexibility in running other major business systems on IBM cloud networks. IBM also said on Wednesday it had reached a cloud services deal with National Express Group Plc to enable the UK-based bus and trains operator to offer commuters up-to-the-minute train schedules and what it said would be Britain's first postcode-to-postcode journey planner.